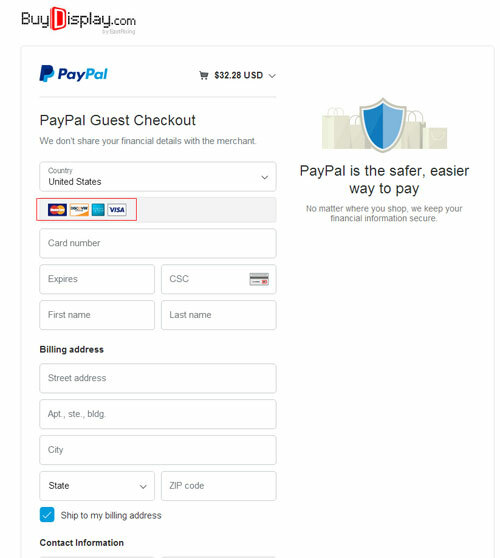 In China, the banks don't accept the creidt card payment from foreign countries,so we could only accept the credit card payment through paypal and the cards we could accept are Visa,MasterCard,Discover and American.The blow is the instruction how to pay by credit card. 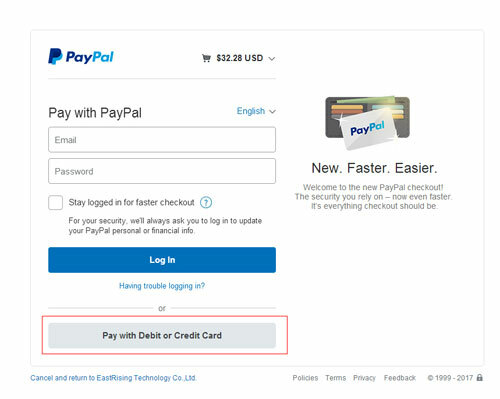 Now you has been sent to the paypal website as the below image shows,click "Pay with Debit or Credit Card". 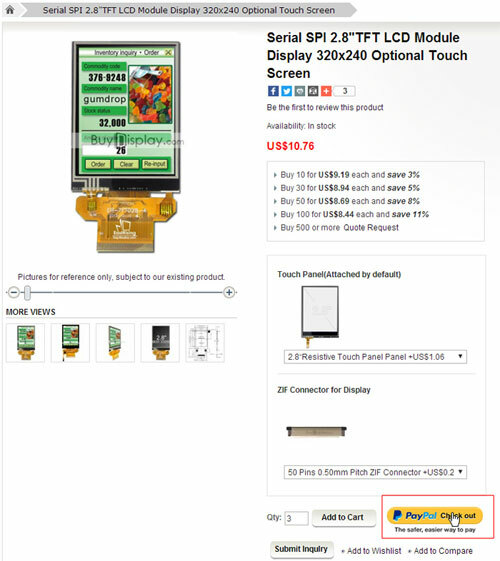 In this page,fill in the form and click "Continue"to finish the payment.